WesternITE newsletter is the official publication of the Western District of the Institute of Transportation Engineers. Its purpose is to share information on transportation topics between members and to communicate to members the activities of the Western District. Articles relating to these purposes are always welcomed and may be sent to either editor. The opinions, findings, techniques and specific equipment cited by individual authors of WesternITE newsletter articles do not constitute the endorsement of same by WesternITE. Reprint of any newsletter material (except if copyrighted) for the purpose of sharing technical information is permissible given that proper reference and the above paragraph accompany the reprint. The Institute is divided into 10 geographic districts worldwide. The Western District (District 6) represents the 13 western states from the Rocky Mountains to the Pacific coast, including Guam, American Samoa, and the Northern Marianas. Within the Western District there are 16 sections that represent states or areas within the west. There are also 6 chapters that represent sub-areas of sections that have been created to better serve members locally. These districts, sections and chapters allow members a more local forum for exchanging information, research and policy on transportation. Each of these levels (International, District, Section and Chapter) generally have their own dues associated with membership. The Institute publishes textbooks including the Traffic Engineering Handbook, Transportation Planning Handbook, Trip Generation, Parking Generation, Manual of Traffic Signal Design, Traffic Signal Installation and Maintenance Manual, Transportation and Land Development, and the Manual of Transportation Engineering Studies. ITE and its members also contribute to the development of several standard references in the transportation industry, including the Traffic Control Devices Handbook, Manual on Uniform Traffic Control Devices and the Highway Capacity Manual. A complete listing of publications is available at the ITE Bookstore on the web. The official publication of the Institute, ITE Journal, is published monthly and contains feature articles on technical and professional topics, short news stories on events and people in the transportation profession, reports on new developments in equipment, materials, methods, current publications and a listing of positions available. 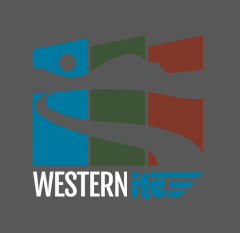 In the Western District, the WesternITE newsletter, published every other month, provides similar content focused on the western states.